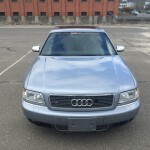 Up for sale a very rare 2003 Audi S8 quattro with only 126K. The vehicle runs and drives perfect. 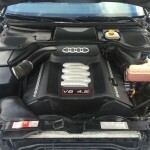 The 360hp 8Cyl engine performs great and gives one of a kind experience. The tiptronic automatic transmission shifts flawlessly. Alloy rims and good tread on the tires. As u can see the body is clean with a few small imperfections but nothing that would detract from the excellent appearance of this vehicle. 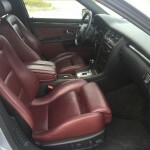 The the interior is nicely equipped with power everything and a stunning cherry red leather, navigation, heated seats and many more. All put together making this the ultimate combination of power and luxury. Without a doubt, this is my favorite color combination on the S8 as I’ve said many times. I fell in love with it when I first saw one nearly new at Coventry Motor Car back in the mid 2000s; they were out of my price range, but have never left my dreams since. I still search for this particular car on a regular basis. And, if you look at the photo in it’s small format, this one generally looks pretty nice. The paint appears to be shiny, the correct wheels are there, the brilliant Oxblood interior is hiding inside. But a closer look starts to reveal the passage of time through the hands of multiple owners; from the broken front grill to the multiple scuffs on the rear bumper, there are some minor battle scars on this car. Look even closer, and the trunklid seems to be slightly out of alignment on the left side. 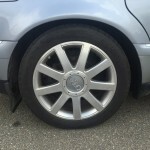 The wheels, Audi’s Celebration model, also show some wear – light curbing, but heavy under-clear oxidation. It’s the first time I’ve seen a set of these wheels on a S8 exhibit this typical wear. I have a similar set of machined/clear wheels that I wash regularly; about the same age, the effects are just starting to creep in, but they’re much better than these wheels. It’s a sign that the car probably wasn’t washed religiously for some time, at least in the wheel department. 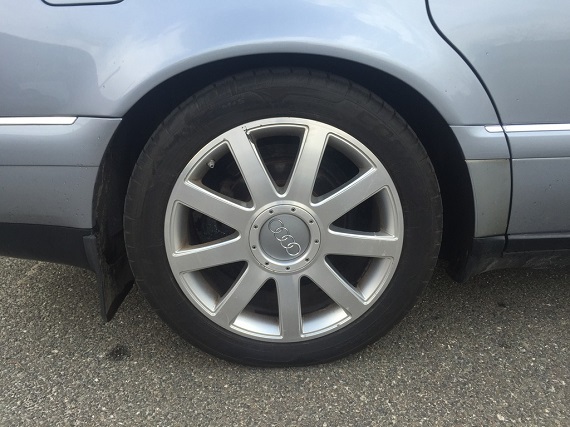 Also of note are the budget high-performance all-seasons shod on those wheels, again an indication that cost-cutting measures were taken to keep this car rolling. Move inside, and their are expected marks and stains present, but again it’s just not the perfect interior I remember looking at. 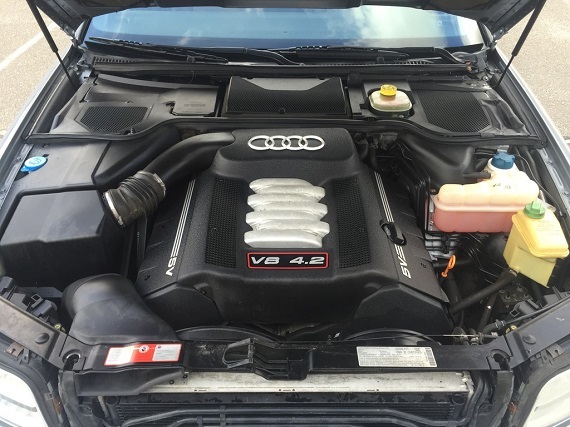 The same goes for under the hood, where the finish on the intake runners for the V8 is failing and the once pristine plastics are beginning to yellow. Are any of these things dealbreakers? 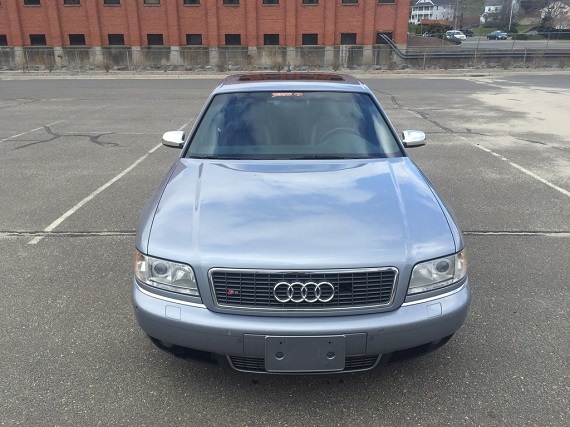 No and I’m being nickpicky – they’re mostly correctable, and the reality is that this is a 12 year old car with dwindling residual value, so the no reserve auction will likely have difficulty breaking $10,000 if it even makes it that far. 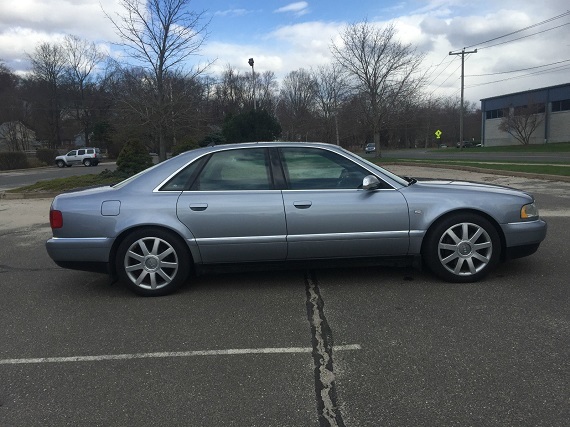 But I can’t help but thinking I wish that I had been slightly upstream of the last owner of this car; I would have paid more, but I’d like to think that the car would be better presented, with full mechanical history and a near pristine interior and exterior. 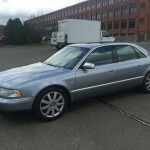 I guess, for now, that will remain a dream, and I’ll hope that someone like me currently has their hands on one of these but will be willing to sell when my ability to own one of these superb S8s comes along. 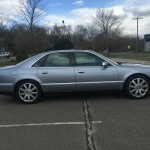 Tagged 2003, 4.2, Audi, Avus Silver Pearl, Celebration, Oxblood, Ronin, S8, V8. Rad colors, rad car. 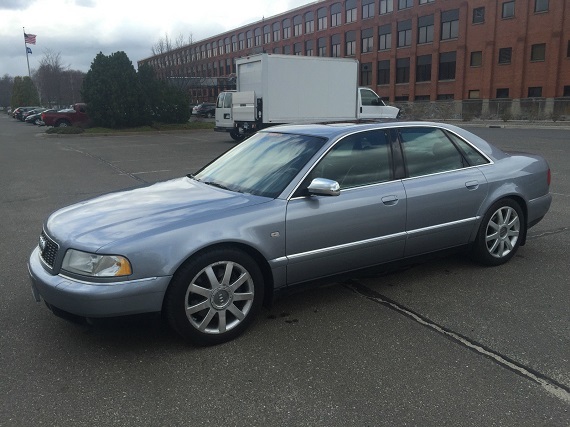 Major car for the money for someone, holy cow. hmmm has this car been for sale on here before with another seller?? 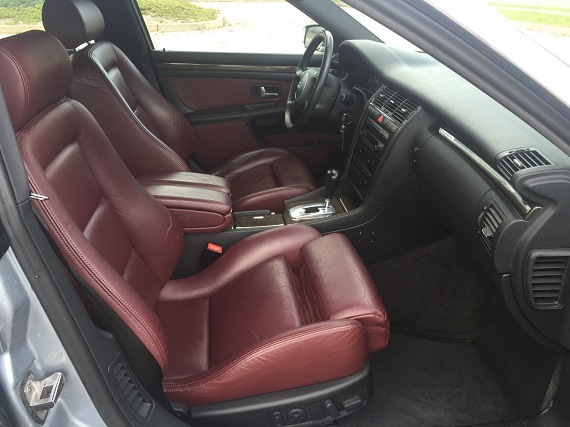 the oxblood interior is something you don’t forget and was not common..
@MDriver – they made 100, of which I’ve probably written up 20. @John, yeah, saw that one, and there’s one in New York too right now. The Texas one strikes me the same way; higher miles and looks like it wasn’t super well cared for by the current owner. The exhaust tip alone is enough of a warning! Thanks for the link! Damn, what an excellent color combo!! Anyone know the name of the exterior color?